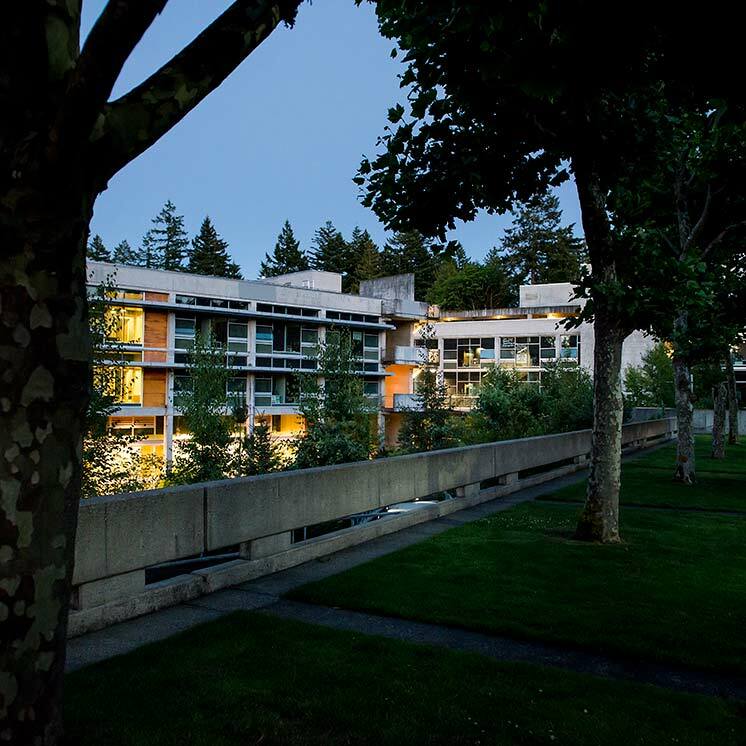 Evergreen's Social Contract puts forward general goals for "freedom and civility, individual and institutional rights, society and the college, prohibition against discrimination, rights to privacy, intellectual freedom and honesty, open forum and access to information, and political activities" (Board of Trustees 1989). Individuals bring different perspectives to the meaning of these goals which can cause debate and discussion that are healthy to an institution designed to explore ideas. When, however, personal actions transgress another's rights and freedoms then conflicts can occur. Because the college acknowledges its obligation to provide fair and credible conflict resolution processes that do not disrupt the teaching and learning of the college, a range of third party interventions are offered to disputants. In keeping with the principles of the Social Contract, members of the faculty, the deans, and the provost who come into conflict with one another must make a determined effort to resolve their dispute peacefully and constructively between themselves before recourse to third party intervention processes. If these efforts fail or prove impossible to do, third party help should be sought at the earliest time and within the most appropriate procedure possible for the parties involved. Because all efforts to bring about a resolution that includes the voluntary agreement of all the involved parties should be exhausted first, facilitation and/or mediation of the dispute should be attempted before resorting to procedures, such as voluntary arbitration, where final judgments are taken out of the hands of the disputing parties. If a conflict is serious enough to warrant a formal grievance then a grievance hearing is also available. The procedures contained in this document do not supersede or abrogate those grievance and/or appeals processes stipulated in the Washington Administrative Code or other adopted college policies. Consequently, disputes involving grievance issues within the faculty reappointment policy, sexual harassment policy, the affirmative action policy, parking regulations, the mid-contract termination policy, the release of student information, and all other policies that include grievance procedures should be resolved following the procedures stipulated therein. These procedures are intended to serve currently employed members of the faculty, the provost, and the deans in the academic division of the college. Any conflict resolution procedure that is in process through an individual's end of employment date may be continued to its conclusion where appropriate. While it is the goal to settle disputes within the community, individuals who invoke these conflict resolution or grievance procedures in no way relinquish their right to take formal action within the appropriate local, state and/or federal legal systems unless precluded by the terms of a mediated settlement or arbitration. Prior decisions and rulings reached via other dispute mechanisms covered by the Revised Code of Washington, and all federal, state, and local regulations cannot be abrogated by these conflict resolution procedures. If a member of the faculty, deans in the academic division of the college, or the provost come into conflict with another member of these groups the offended individual should at the soonest possible time inform the individual of the perceived transgression. The parties should discuss the situation among themselves. They should, if necessary, make supervisors (deans, provost, or the president where appropriate) aware of the conflict giving them the opportunity to assist in settling the differences. If the dispute then continues, the disputants should seek the assistance of the Conflict Resolution Officer (CRO) who can help set up a Third Party Facilitation, an agreeable form of Structured Mediation, or a Voluntary Arbitration process. A Grievance Hearing Panel is the college's settlement process of last resort and the dispute must meet additional criteria for one to be assembled. In all third-party procedures, the CRO will inform the accused individual(s) and any witnesses that they are involved in a conflict resolution process. The CRO also coordinates and administers the duties necessary to assure a smooth and timely continuance of the process. CRO Coordination and Administration Guidelines should be prepared by a designee of the President in consultation with the Agenda Committee. These guidelines should be reviewed and updated periodically by the President's designee in consultation with the Agenda Committee. Third Party Facilitation provides the disputants the opportunity to invite a person, whom all trust, to listen to the arguments and facilitate discussion. Neither written agreements to settle by any of the disputants nor record of the facilitation is required. Facilitation can go on as long as the disputing parties feel that it is beneficial. There is no limit on how many facilitators are brought in or how often they are changed. Facilitation does not prohibit any participant from later carrying the dispute to other processes in this policy should the dispute fail to be settled. Any disputant may suggest a particular person or group of persons be facilitator(s) for a grievance to the other parties involved in a dispute. All should agree on the facilitator(s), the venue, and the meeting time. Facilitators, upon request, may obtain guidelines in the art of good facilitation from the CRO, but the CRO may not participate in the discussions unless specifically asked to do so by the disputants. The CRO should be notified of the outcome of this process. Mediation is a confidential structured process where trained mediators act as impartial third parties in formal, scheduled negotiation sessions to arrive at mutually acceptable settlement agreements which may be written down and signed by all parties. The mediators are assigned through the college's Mediation Center from a pool of trained volunteer mediators available within the college. Alternatively, the disputants can follow the procedures of the Mediation Center for off-campus mediation of the dispute. If the chosen mediators are unacceptable to any disputant, others will be selected. In all cases the disputants must agree on the mediators. The staff at the Mediation Center works with the disputants to establish the timing and venue of the mediation process. The CRO should be notified of the outcome of this process. f. All parties must agree that the process be confidential. Voluntary Arbitration is the agreement by all parties involved in a dispute to have an impartial arbitrator listen to all sides of the dispute and issue a judgment. The CRO may develop a pool of potential arbitrators for purposes of this policy and prepare arbitrator guidelines and training if necessary. The disputants must agree in advance to abide by the arbitrator's decisions. The arbitration process is closed to all but those involved in the dispute; however the written records and final judgments are considered public documents. d. All parties must agree voluntarily to use arbitration. Upon notification that all parties agree to arbitrate their dispute, the CRO submits a list of identified arbitrators to the disputants. The disputants then eliminates any name(s) on the list they wish. The CRO then selects one of the remaining arbitrators agreeable to all parties. The arbitrator, in consultation with the disputants, decides on the details of the arbitration process and sends a copy of an agreement to arbitrate, signed by all parties, to the CRO. At the request of the arbitrator the CRO may assist in setting up the process. At the end of the arbitration process the arbitrator sends copies of the judgment to the disputants and the CRO. Arbitration Guidelines should be prepared by the President's designee in consultation with the Agenda Committee. These guidelines should be reviewed and updated periodically by the CRO with proposed changes approved by the designee. d. a detrimental statement about an individual that is claimed to be factually incorrect or unrelated to performance as an employee of the college would remain part of the college's public record, a personnel file, or a portfolio. Offending actions covered by grievance and/or appeals processes in other adopted college policies, or of a person acting in good faith under Washington State's Whistle Blower Policy, or proceedings of a hearings panel are not grievable. The process begins when a disputant informs the CRO that a potentially grievable incident has occurred. A disputant has 40 school weekdays from informing the CRO of an incident to file an official 'Request for a Hearing'. This allows time for processes stipulated in Part 1 of this policy to be considered and attempted if appropriate. The CRO can extend this period for up to 30 additional school weekdays if necessary. The CRO must respond to a duly filed request within 5 school days. Once the decision to hold a grievance hearing is made, the CRO informs all parties and any witnesses that a grievance has been filed and that they are involved. The CRO also coordinates and administers the duties necessary to assure a smooth and timely hearing process. A member may ask the Panel to be excused from service after it begins its work only due to a conflict of interest that comes to light during a hearing, illness, or an unforeseen emergency. If a member is excused, a new person from the same category is selected from the pool of alternates. A hearing request may be withdrawn at any time prior to the commencement of the formal hearing if all parties agree. A new request cannot be accepted for the same incident once withdrawn by the disputants. Within 3 school weekdays after the Panel has been selected, the CRO establishes a hearing date and venue, and sends a notice to all participants. The initial hearing date is to be no later than 15 school weekdays after the members of the panel have been established. At least 1 hour prior to convening a Grievance Hearing, the CRO must conduct a brief training session and inform the panel members of their obligations and duties during the hearing process. A statement entitled 'Obligations and Duties of a Hearing Panel' will be distributed to panel members. The panel also selects a chairperson. Failure of any of the disputants to appear at the hearing without justifiable reasons, as determined by the panel, will result in the hearing going forward without those parties present. The absent parties may submit a written statement explaining why they have chosen not to attend. This statement will be read into the record at an appropriate stage in the hearing. All Grievance Hearings are closed, however the written records may be considered public documents once a report is filed and the appeals process completed. The hearing should proceed following the latest approved Hearing Procedural Guidelines. These guidelines are prepared by the President's designee in consultation with the Agenda Committee and monitored by the CRO for fairness and effectiveness. Proposed changes are approved by the President's designee. All attempts should be made by a Panel to determine and resolve the differences between the disputants, and not merely issue judgments. The Panel should also strive to reach a consensus in their decisions however only a simple majority agreement is required. During its deliberation it must seek advice when necessary to assure that proposed remedies are legal and don't conflict with other adopted college policies. Issues concerning the practicality of their remedies, to the extent that the Panel can make such judgments, should also be taken into consideration. The Panel must submit a written report containing its findings and decisions to the CRO as soon after its deliberations as possible. The CRO must send a copy of the report to all involved parties along with instructions for filing an appeal. After the appeals process (if engaged) is completed, a copy of the report is also sent to all individuals responsible for implementing the Panel's decisions and their supervisors. The report is considered the college's initial decision regarding the grievance and becomes final after the appropriate individuals responsible for insuring action on decisions review the report. The appropriate individuals or administrative officials make the final decision on the grievance. They must either take action to implement the Panel's remedies or must prepare a written explanation within one month detailing any substantial deviation from the Panel's decisions. The CRO will forward the written explanation to all parties involved in the dispute including the Panel members. Disputes over partially or un-implemented remedies can only be settled by facilitation or mediation. b. determine that a significant breach of process did occur and, 1) remand the case back to the original panel, or 2) direct that a new panel re-hear the grievance. In all cases the CRO should be notified of the Reviewing Officer's findings. Conflict Resolution Officer or CRO: An individual responsible for providing initial advising services for aggrieved parties, keeping all records in the hearing procedures, and generally coordinating the conflict resolution processes of this policy. The CRO is selected by the President from a pool of candidates supplied by the Agenda Committee. The CRO is supervised by the President's designee. Should the CRO be a party to a dispute the President may appoint an individual to serve as interim CRO for that particular and/or related dispute(s). Findings: A determination of fact by a Grievance Hearing Panel, particularly when that particular matter is disputed by the parties. Impartial Third Party: A person whom all involved parties trust to facilitate an open discussion of a dispute; or a trained mediator; or an arbitrator; or a grievance hearing panel. School Weekday: Any weekday (Monday through Friday) during the fall through spring sessions where the college is officially open for classes.